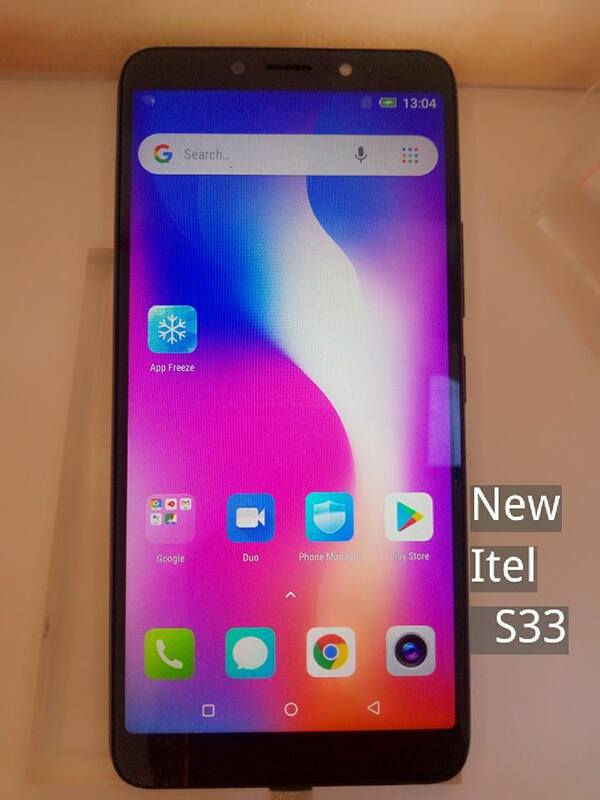 Alongside the iTel S13, iTel mobile also launched the iTel S33 which will be the successor of the iTel S32 mid-range smartphone. The device is equipped with the latest Android 8.1 Oreo Go Edition and a full view screen size of 6.0 inches. The screen has a resolution of 480 x 960 pixels and on the inside, the smartphone is powered by Quad-core MediaTek MT6580 processor clocked at 1.3GHz and it’s rocking an ARM Cortex-A7 Mali-400 MP that will take care of graphics related issues. The iTel S33 has 1GB of RAM with internal memory of 16GB which is expandable with micro SD card. Other sensors on the inside include Accelerometer, Ambient Light, Proximity, Fingerprint and Face Unlock features. The phone is shipped in Champagne Gold, Elegant Black, and City Blue color variants. On the camera department, the iTel S33 features dual rear cameras of 8MP + VGA with auto-focus and dual-LED flash. For selfies, it has a single front-facing camera of 13MP with an LED flash as well. Powering the phone on the inside is a nonremovable battery capacity of 2400mAh without fast charging technology. For connectivity, the iTel S33 has a support for dual SIMs, 4G LTE, wifi, Bluetooth and micro USB cable out of the box. 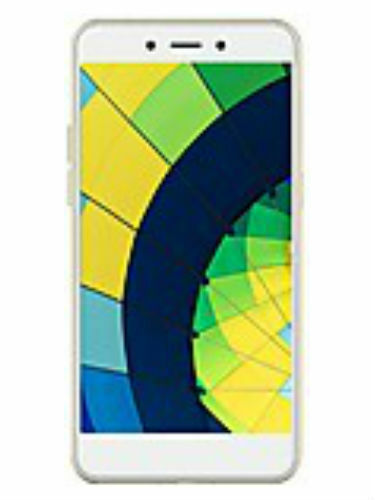 Samsung Galaxy On6 Price, Specs, Features and Review. Nokia 5.1 Price, Specs, Features and Review. TECNO Pouvoir 2 Price, Specs, Features, and Review. iTel P32 Price, Specs, Features And Review. 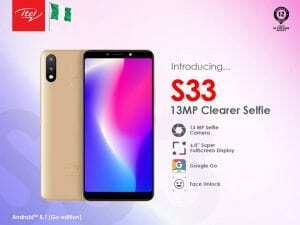 The iTel S33 is available in Nigeria at a price of 27,000 Naira ($85). Screen Resolution: 480 x 960 pixels. 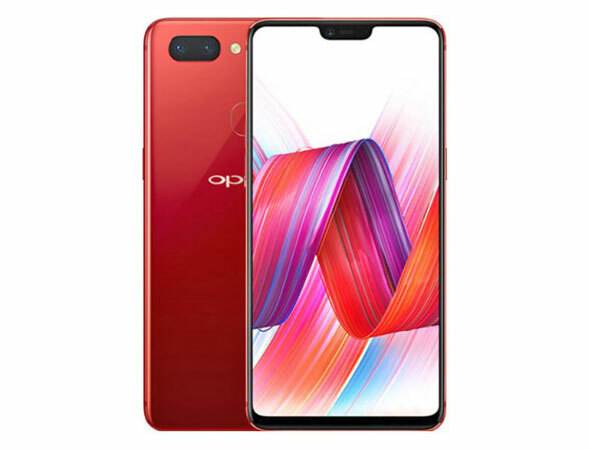 Oppo R15 Pro Price, Specs, Features and Review. 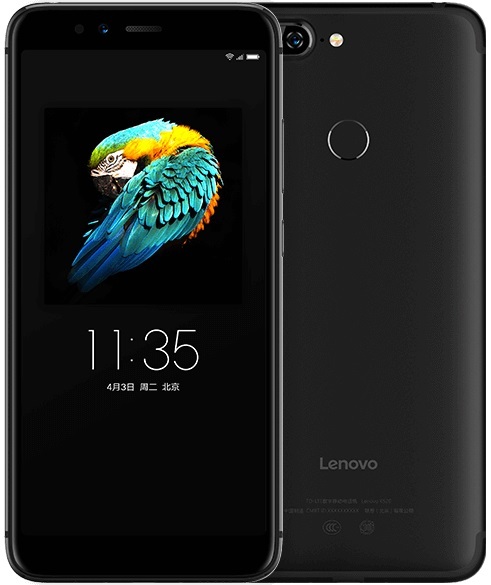 Lenovo S5 Price, Specs, Features and Review. 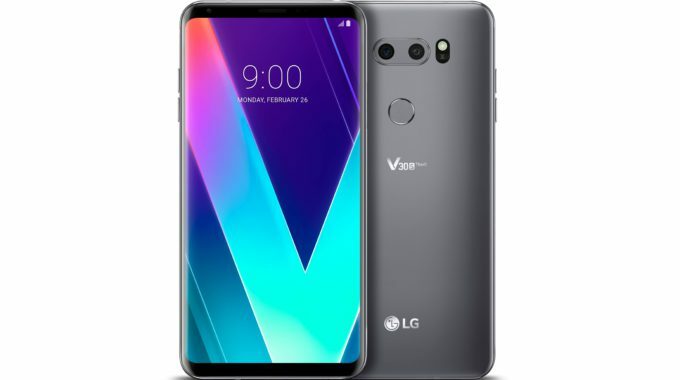 LG V30S ThinQ Price, Specs, Features and Review.